A drama has been unfolding today in the beech tree in my backyard. 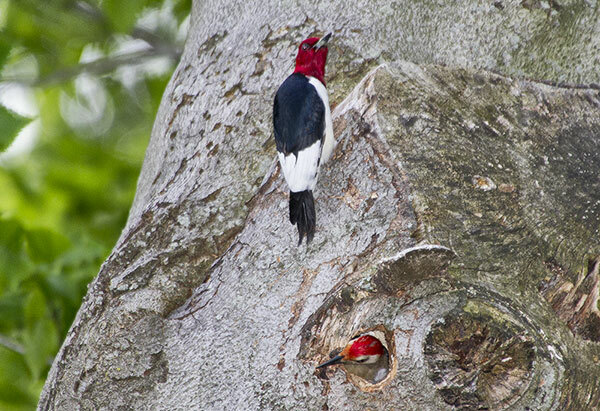 The nest hole was being occupied by a pair of red-bellied woodpeckers. This morning this male red-headed woodpecker appeared and there has been a conflict going on all afternoon between the males, at the present it appears the Red-headed woodpecker has chased the male red-bellied woodpecker away from the nest. The female is still in the hole. Time will tell what the final outcome will be.